The Phoenix Islands, due to their isolation, have significant bird numbers, with five of the eight islands being listed by Birdlife International as Important Bird Areas (IBAs). Due to ongoing habitat loss, small population size, predation by invasive species, and human exploitation, the Phoenix petrel (Pterodroma alba) is evaluated as Endangered on the IUCN Red List of Threatened Species. 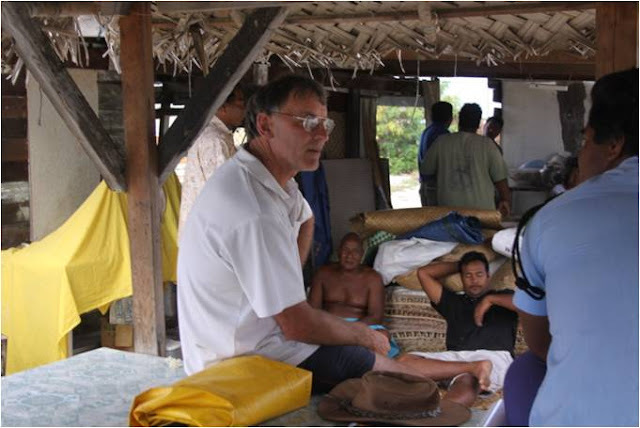 Dr. Ray Pierce meeting with the government caretakers of the Phoenix Islands on Kanton. Dr. Pierce, can you tell us a little about your work? From the point of view of an ecologist, and a New Zealander, the scale of the problem of non-native, invasive species is huge and is normally the first issue to be addressed in ecological restoration. Eradications come naturally to New Zealanders as scores of islands have been restored by removing invasive species, especially alien mammals. Eradications programs are actually easier to carry out in New Zealand that in other places in the world (e.g. Australia) since there are fewer non-target mammal species. The only indigenous land mammals in New Zealand are bats. There are no land snakes either. So there is a long history of Kiwis managing invasives dating back to the early 20th century. Our PIPA operational manager Derek Brown for example, has notched up at least 20 major rat eradications around the world. In New Zealand one doesn’t have to worry about harming the native rats or mice for example when you target non-natives because there are no native rats, mice, marsupials, squirrels, etc. that might eat the bait you set out. I started my career as a conservation biologist focused in this way on restoring habitat for the endangered birds of New Zealand, including shorebirds and seabirds, and then gradually moved into endangered birds in the Pacific Islands. 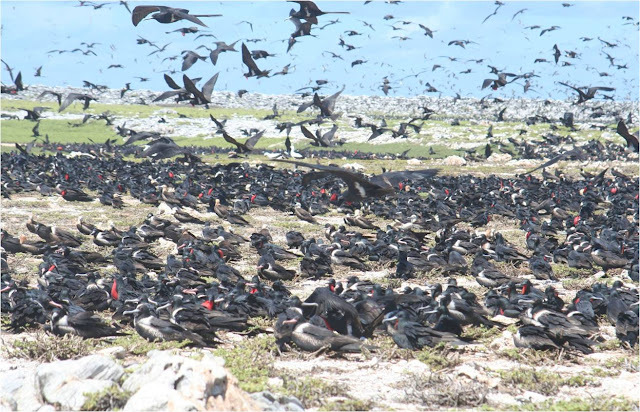 Great frigatebirds, Te Etei Are E Bubura in the Kiribati language, are one of the 19 species of seabirds that nest in huge numbers in the Phoenix islands. 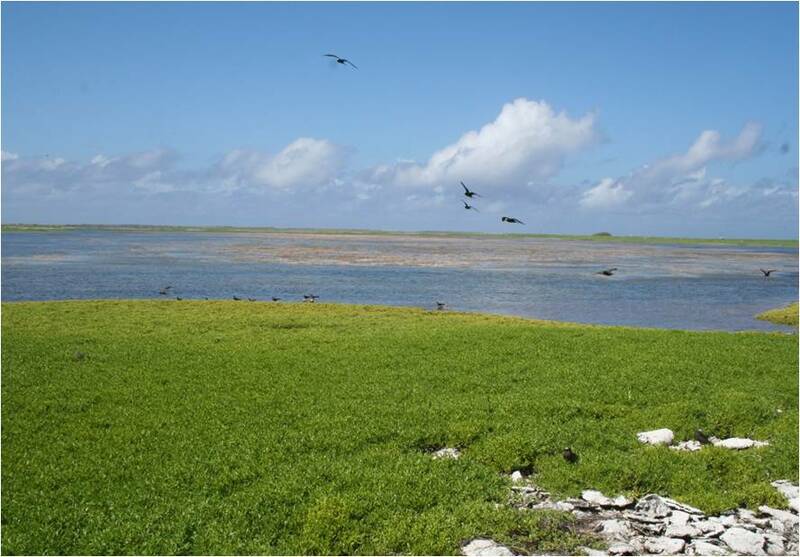 Rawaki is the one island that has never had rats, and therefore may provide a "source" population of birds who may spread to the other islands now that the ecosystems are being restored. The Phoenix Islands are 1,000 miles from anywhere. What brought you to work on eradicating non-native species from these islands? By coincidence really, although others would argue it was a natural progression. I guess the story gathered momentum when I was surveying birds in the Tuamotu Archipelago, and this included the endangered Tuamotu sandpiper. At this time we discussed how depauperate those islands were of seabirds due to impacts from humans and invasive species. My colleagues and I began talking about our knowledge of surveys done in the 1960s in the Phoenix Islands by the Smithsonian in the US and how the Phoenix Islands were globally important. 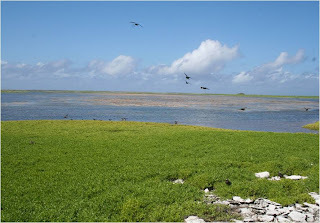 Since the Phoenix Islands are virtually uninhabited, and we were aware of this potential protected area being created at the time, which is now PIPA of course, we figured we should start looking at Kiribati for possible restoration sites for populations of globally important Pacific seabird species and ecosystems generally. Given their isolation, any ongoing threats from invasives ought to be readily managed at the PIPA. Kiribati was a good bet for this type of seabird conservation work, because there was support and interest from the government. 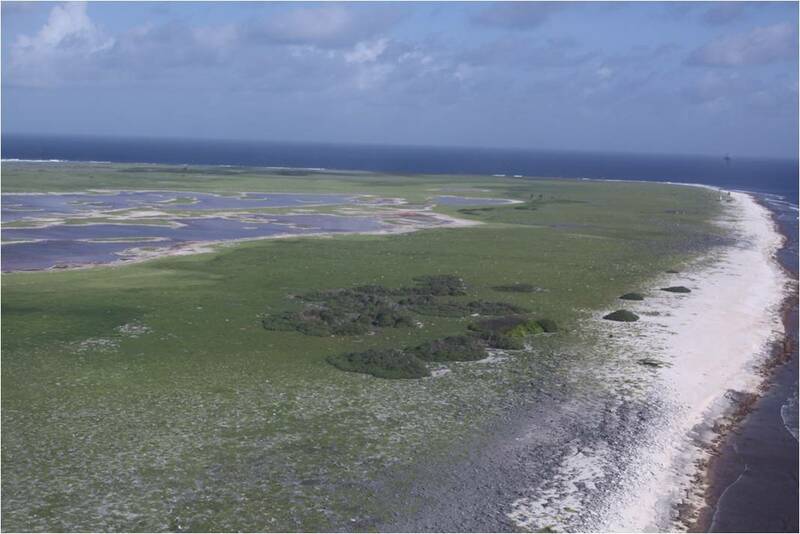 With Kiribati so focused on conservation, I applied for funding and as a consultant position to do the surveys for Kiribati and here we are today with two islands (possibly four) of the eight islands with invasives removed and bird populations already starting to increase. 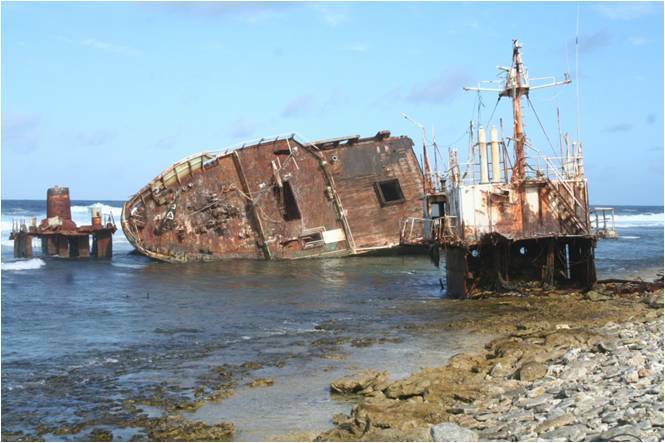 Korean fishing vessel the MV Chance shipwrecked on McKean in the early 2000s and is the probable source of Asian black rats on the island, which were successfully eradicated in 2008. Rats are the most widespread invasive species on the PIPA islands and until recently there were three species present. Cats are also present on three islands and formerly rabbits on one. Asian black rats (Rattus tanezumi) were brought to McKean (1) we believe when a Korean fishing boat wrecked on the shore at the end of 2001 or early 2002. 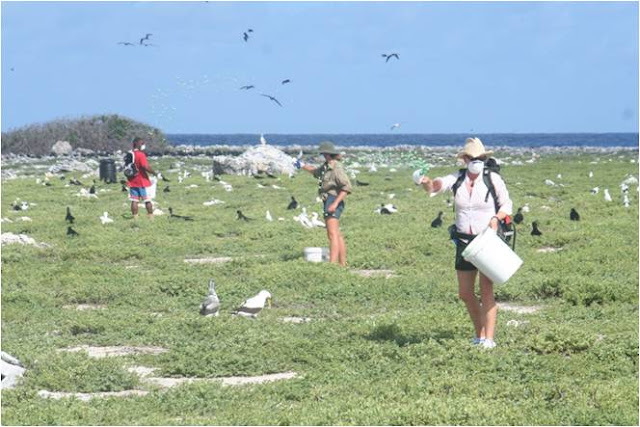 Within a few years the birds had been obliterated from McKean and this was the first island to be addressed in 2008 when NZAID funded the rat eradication of McKean which was proven successful in late 2009. 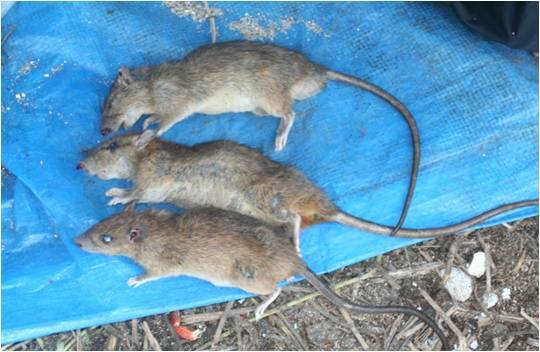 Black rats (Rattus rattus) are present on Kanton (2) and Manra (3), both of which also have the Pacific rat and cats, and so the smaller bird species are confined mainly to rat-free islets. Rabbits were brought to the Phoenix Islands by guano collectors in the 1870s. I think this was more opportunistic versus really planned as they food options are extensive and as the populations of rabbits on Rawaki (4) increased they become scrawny and you really couldn’t get much meat off of them. 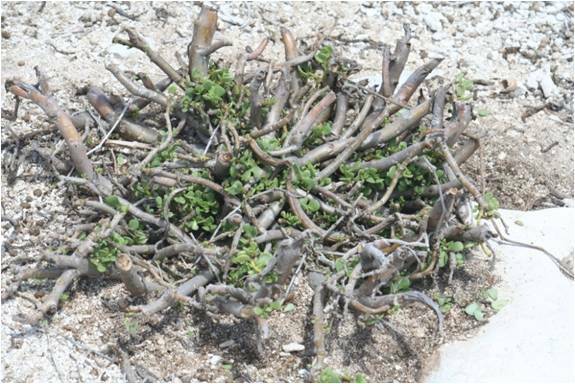 The rabbits were damaging the Rawaki ecosystem by over-browsing the plant life, they compete for shade with seabirds, and destroy the bird eggs and young. We successfully eradicated all the rabbits from Rawaki in 2008. To the left is McKean virtually devoid of birds; the image at right is the Asian black rats on McKean, both prior to the 2008 eradication effort. Rabbit browse on Rawaki in April 2006 prior to the 2008 eradication program. Pacific rats (Rattus exulans) were on most of the PIPA islands of Kanton, Nikumaroro (5), Enderbury (6), Orona (7), Manra, and Birnie (8). In 2011 we targeted Enderbury and Birnie rats, but we won’t know the success of this operation until late 2012. Pacific rats are indigenous (native) to Southeast Asia. They cannot swim over long distances, so are therefore considered to be a significant marker of the human migrations across the Pacific, as the ancient voyagers accidentally or deliberately introduced them to the islands that they visited. Geneticists have been able to show the movements of humans throughout the pacific over the past 3000 years and the PIPA specimens have helped map these movements. Some people have wondered if the birds have adapted to living with Pacific rats since they have been there for so long, but you have to understand, rat impacts can be immediate and total. Once rats come, you will not have blue noddies or white-throated storm-petrels nesting on that island. So a couple years is not enough time for an adaption to come about. Only when rats are removed again would nesting by these smaller species be possible. 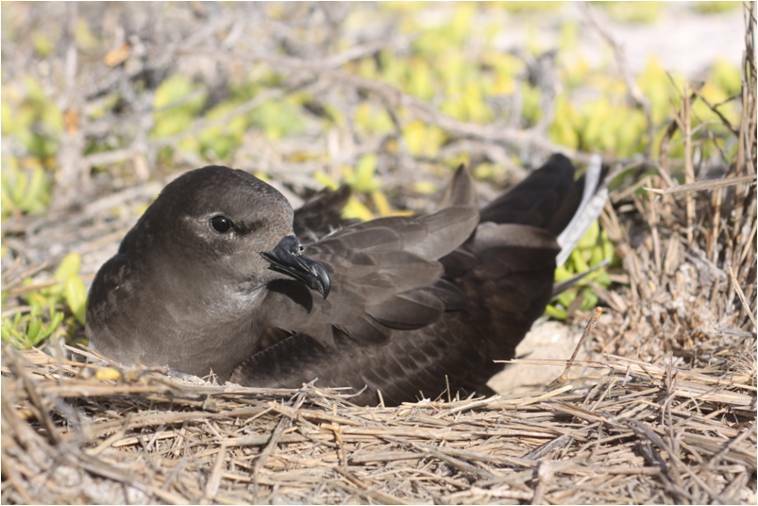 We are fortunate that one of the PIPA islands (Rawaki) has never been invaded by rats and so populations of storm-petrels, blue noddies and other species have found sanctuary there. On Orona, our 2006 survey failed to detect rats. However it really seemed too good to be true and sure enough, in 2009 we found Pacific rat around nearly all of the island. Also in 2009 we found more than 20 cats. Perhaps the 2001-2004 settlement that was there had undertook fairly effective poisoning of rats on the island to protect coconuts, but without actually eliminating them. 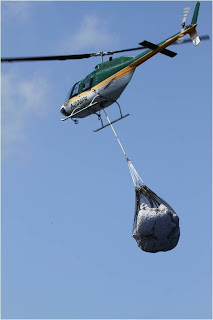 The July 2011 eradication of rats on the PIPA islands of Enderbury and Birnie used helicopters to spread bait evenly over the entire area. 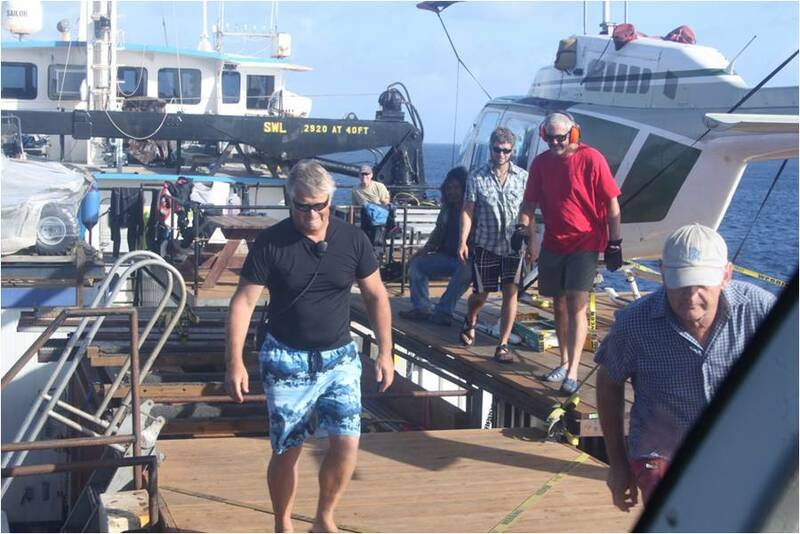 This team of experts that went to PIPA were part of a global first: a four island, three country collaboration that also went to Henderson Island (UK) and Palmyra Atoll (USA). Meanwhile cats have eliminated many seabird species from the large islands elsewhere as they directly prey on birds and chicks and in the past dogs and pigs would have added to the carnage. Cats are now found on Kanton, Manra and Orona. Norway rats, yellow crazy ants and other invasives are present in Apia, Samoa and other seaports and so could easily hitch-hike go to PIPA which would be disastrous for PIPA ecosystems and birds, so strict adherence to PIPA’s Biosecurity program is needed by all vessels that go to the MPA. Enderbury from the air during the July 2011 eradication of Pacific rats from this island. A lot of what we talk about in the Phoenix Islands is the phenomenal underwater fauna. 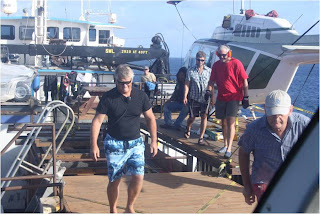 You are not a diver and have been to the Phoenix Islands at least four times. What is your favorite part of visiting the Phoenix Islands? Yes, being a landlubber, pulling up near Rawaki in the evening when the birds are coming back to the islands in spectacular numbers would be my favorite. It is so noisy!! I suspect the birds do not use just sight, but maybe combinations of sight, smell or hearing to navigate home. Also, I really enjoy looking for and finding sensitive and endangered birds amongst those returning masses, and seeing how they are responding to pest removal, e.g. the spread of blue noddies across Rawaki in response to vegetation recovery. Also to see subtle behavior such as the masked boobies pause as they return to the island. They look for frigatebirds who might steal the food they are bringing back for their chicks or mates as frigatebirds are kleptoparasites--the pirates of the atolls! “Man-o-war bird” is the old name for them. Then, after looking, the boobies all fold their wings and dive down at once, in unison, a magical sight! Despite my bias towards the terrestrial world, I am one of the first to acknowledge the interconnectedness of all the PIPA and the dependence of seabirds on a healthy marine ecosystem that the PIPA is trying to protect; meanwhile the birds return the favor via nutrients to the reef system.